RGA321F, STC-Shaped Guitar from Ibanez in the RGA Standard series. tjon901's review"The best hardtail RG on the market"
The RGA121 is an Ibanez RG model with some unusual features for an RG. The guitar features a Fixed bridge on a mahogany body with a maple top. It has an figured maple top which makes the guitar extra comfortable. 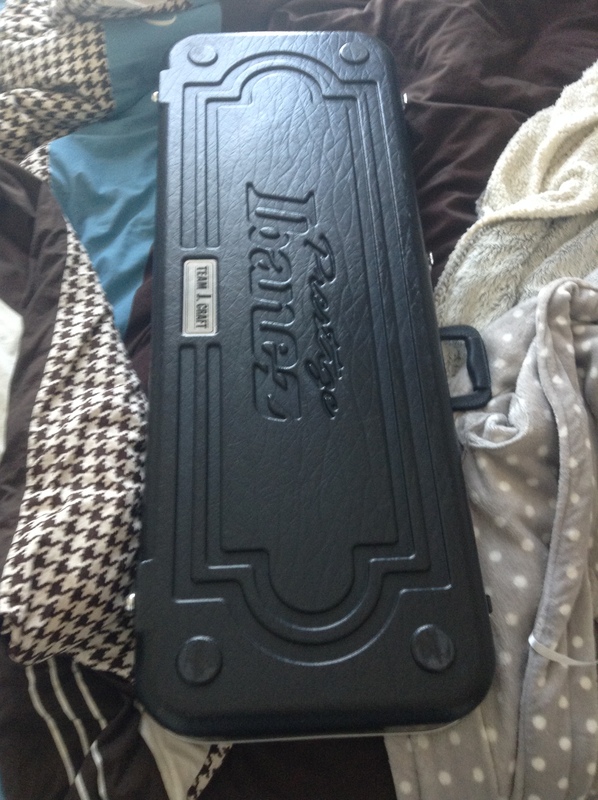 It has the wonderful Ibanez RG prestige neck which is a 5 piece neck. A 5 piece neck means the guitar neck will be stronger and less likely to warp, which is important when you have a neck as thin as the RG neck. 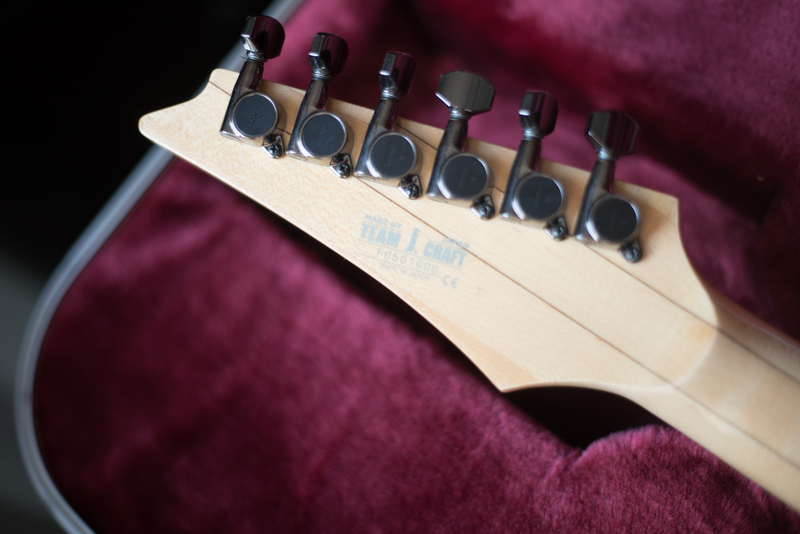 The neck has a rosewood fretboard with 24 jumbo frets. The guitar features two humbuckers with a 3 way toggle switch in a Les Paul style switch configuration. The playability of an RG prestige model is second to none. The bridge is smooth and comfortable. They used a unique hardtail bridge instead of a Fender style hardtail like they use to use. The Fender style hardtail bridge had some sharp edges that may scratch your hand when palm muting, but this guitar has none of that. The deep cutaways allow access to all the frets and the neck is ultra thin and playable. This guitar fixes many of the problems I see in most Ibanez RG models. The mahogany body gives the guitar a full heavy sound while the maple top keeps it from getting muddy. It is a perfect wood combination. Many Les Pauls use the same wood combination for the same reasons so you may consider this guitar a Les Paul that you can shred easily on. The wood choices are so good it manages to make the pickups not sound awful. I would still recommend a pickup swap on any Ibanez that carries Ibanez brand pickups but on this guitar the wood helps it get by. 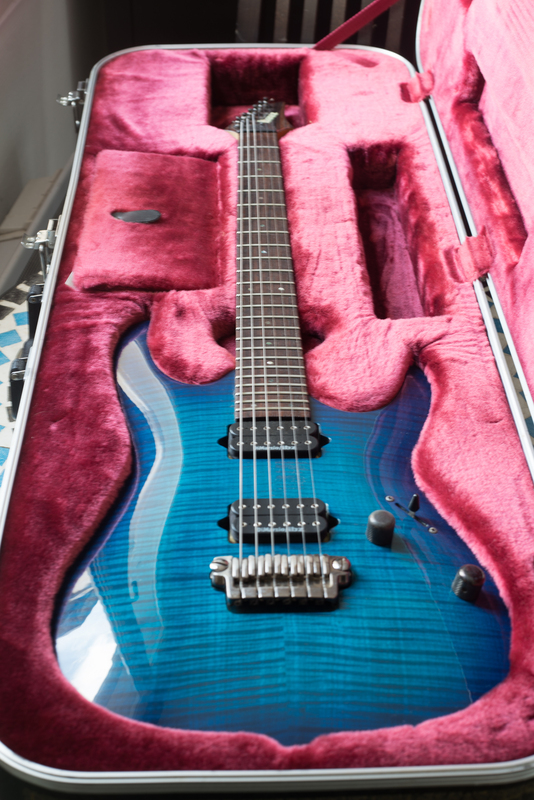 This is one of my favorite guitars in the entire market. I am not a big fan of tremolo systems because I like to change tunings so I have problems with most RG's and this one fixes that. I also dislike the wood they use in most RG's. Basswood is a cheap wood companies use to save money. It doesnt sound very good and its not very strong. The mahogany and maple combination in this guitar is a time tested wood combination that has been used in guitars for decades and for a good reason, it sounds great! 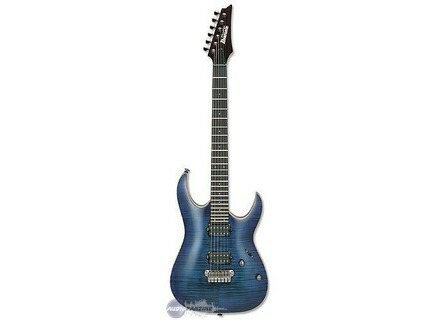 I wish Ibanez made more models like this, if they did i would buy them all! Hatsubai's review"Figured maple version of the RGA-121"
The RGA-121 and RGA-321 were introduced awhile back as arch top Ibanez guitars. The RGA-321's main difference is that it has a figured maple top instead of the plain maple top as seen on the RGA-121. This guitar features a mahogany body with a very thick figured maple top, maple neck with rosewood fretboard, 24 frets, two humbuckers, a volume knob, a tone knob and a 5 way switch. It also features a hardtail bridge that a lot of people have been asking for. The RGA series is one of my favorite series ever released by Ibanez. Even though I'm a trem guy at heart, the hardtail bridges on these guitars are absolutely wonderful. They feel nice in the palm of your hand, and they sound good too. The arched top on this guitar feels very nice when resting your hand on it, too. It's almost like a Les Paul in a way with the way the guitar's body feels. Upper fret access on this guitar is awesome thanks to the extreme cutaway in the lower horn and all access neck joint. This guitar sounds absolutely massive thanks to the mahogany body and hardtail bridge. However, it's not muddy at all. This is mostly due to the maple top. That helps really balance out the entire guitar while still making it sound much bigger than a regular model RG. I'm a huge fan of these guitars for metal as the brightness of the maple and thickness of the mahogany seem to work perfectly with high gain sounds. The stock pickups are pretty weak, so I recommend replacing those. If you're in the market for a nice hardtail RG, your choices are fairly limited. I highly recommend checking this guitar out. If you find you can't afford this, check out its little brother -- the RGA-121. It's the same guitar but without the figured top. 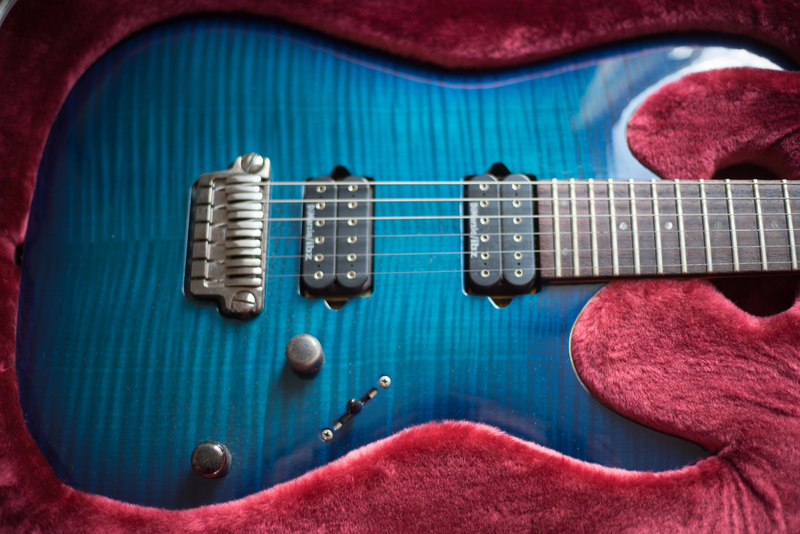 Once you swap the pickups in this guitar, you should be good to go.